The Short Version: Derivative, confusing, but entertaining demon flick about an Aztec idol that looks like a Bug Out Bob Stress Reliever taking control of its owners, making them kill and do convincing Mercedes McCambridge impersonations. 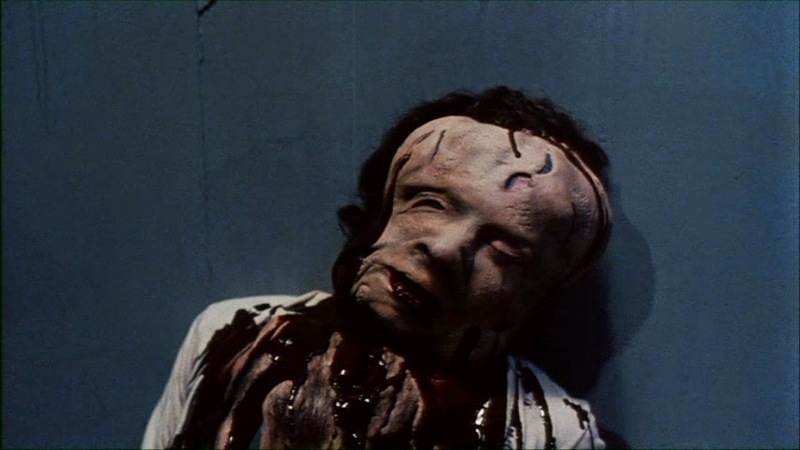 Slow in spots, if not for Chris Young's fantastic score and a few squishy FX sequences, it wouldn't register as a blip on the obscurity radar of early 80s horror. Possession film fanatics and idolizers of undiscovered horror will want THE POWER for themselves. Three teenagers come into contact with a deadly Aztec idol housing Destacatyl, an ancient demonic spirit that has the power to enslave its owner, command them to kill, and possess their bodies. After a cemetery caretaker is killed, the teens go to a local reporter named Sandy McKennah with their bizarre story. Jerry, a friend of Sandy's becomes fascinated by Destacatyl and obtains the idol in an effort to control the malevolent force. The Power proves too much, and Jerry is possessed by the evil spirit housed within the small statue. One of the last movies released through Film Ventures International before going bankrupt was this mildly enjoyable terror tale that's ambitious in scope, but limited by its low budget. 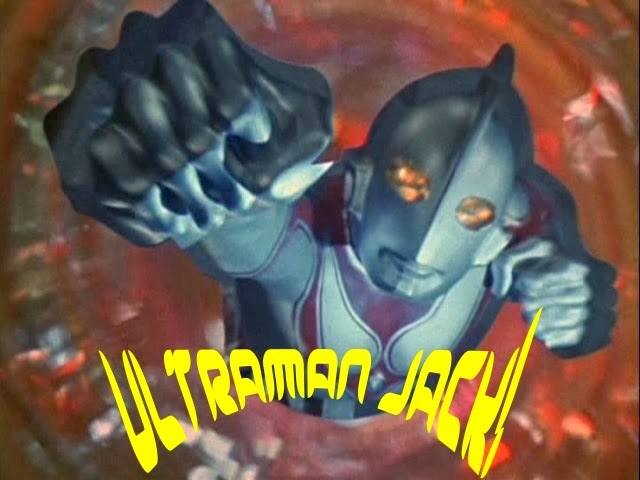 It's one of those barely known obscurities remembered by a chosen Drive-in few--likely seen by more who, after discovering the dusty VHS box on some video store shelf, rented it out of curiosity. Had a little more time and money been afforded it, THE POWER could have been a powerful cult item. Obrow co-directed with his film school friend Stephen Carpenter, and shared duties of writing and editing the feature. 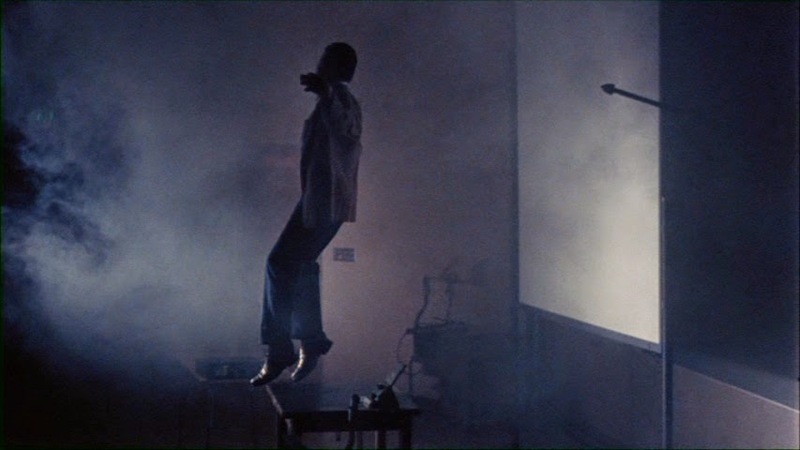 Moreover, Obrow produced the picture while Carpenter was its cinematographer. Aside from this unique team-up in the directors chair and elsewhere, the crew was likewise made up of other friends of the directors from their UCLA days. This same clutch of friends collaborated on their first film called PRANKS (1982), which was in re-release as the retitled THE DORM THAT DRIPPED BLOOD when THE POWER was beginning its theatrical run in 1984. Prior to shooting, both Obrow and Carpenter researched ancient cultures, deciding on Aztecan lore for their subject matter. For the purposes of their script, 'The Wicked Enslaver, Destacatyl' was a fabricated entity, but various legends were used to summon the malefic spirit into 20th century film lore. In the film, Destacatyl resides within a small figurine that resembles one of those Bug Out Bob Stress Relievers; yet the only thing Destacatyl relieves you of is your life. The effigy passes through various hands in the script--some of which intend to control the power for their own usage. Naturally, this brings about disastrous consequences resulting in some splattery special effects. Mathew Mungle--who has since went on to a very successful career--encored from Carpenter's and Obrow's DORM to THE POWER. 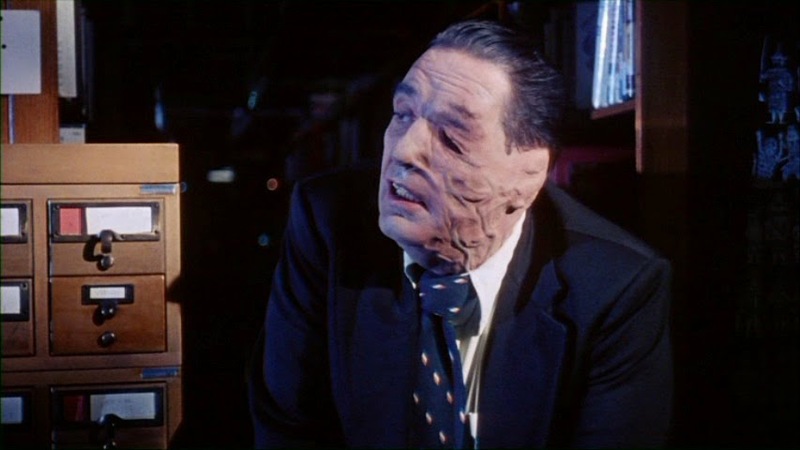 The FX looks on the rubbery side here and there, but on the whole, his work is mightily impressive; particularly one scene that will bring to mind the head-inflating transformation seen in THE BEAST WITHIN (1982). 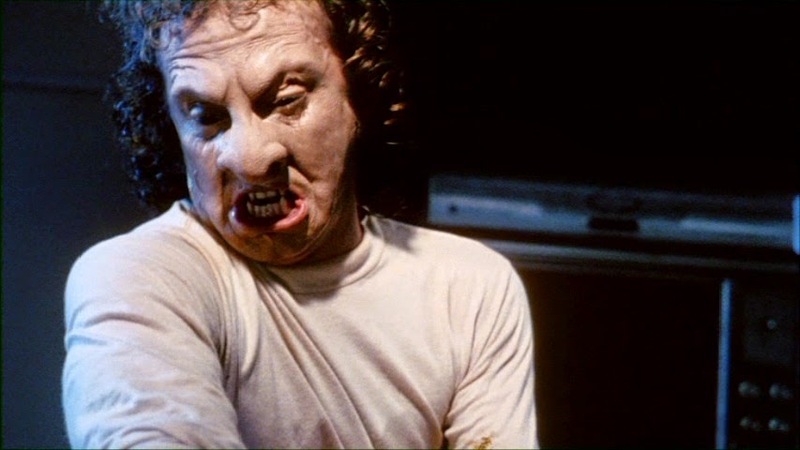 The demonic possession effects have a unique look to them; one has an animalistic quality while another is so familiar, Deadites would surely approve of it. Rounding out the splatter is an impressively photographed impaling; a head squashing; a couple spurting blood tricks; and a skin-scraped-from-an-arm effect. A hand forced into a garbage disposal suggest more than what is seen. On the downside, THE POWER starts off with forceful vigor, but is intermittently exorcised of its momentum with a fractured narrative and two underdeveloped story arcs. The film would have been fine without one of them. 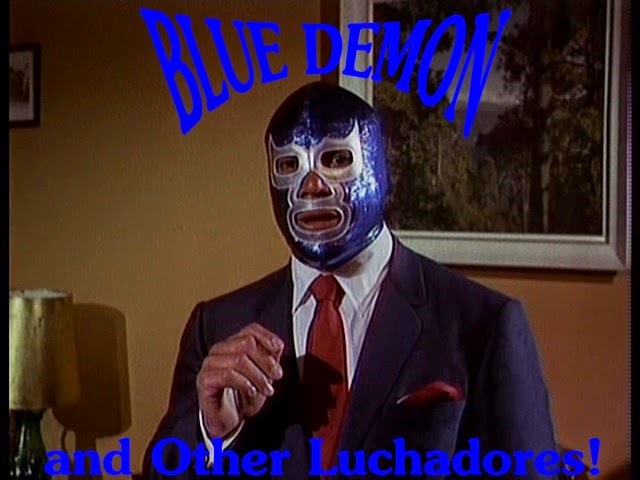 On the whole, it's like two movies in one, with both dealing with the Aztec demon doll. For the first 15 minutes we spend time with Francis Lott (J. Dinan Myrtetus) and his professor friend--the latter of which is in possession of Destacatyl. After a spectacular death scene, the inquisitive friend asks the dying teacher where the idol is; he responds that he's sent it back--as in sent it back to its original owner. This idol transference is never explained, nor does it crop up again. The Power-hungry Lott then hightails it to Mexico to locate the malicious totem. 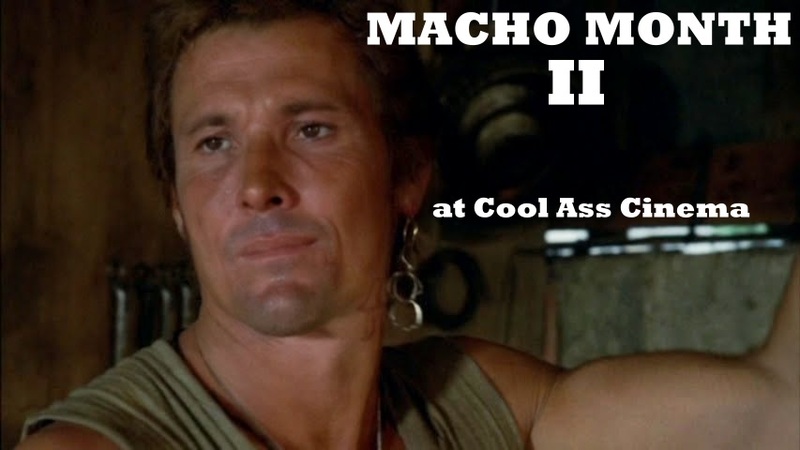 He gets more than he bargained for, then suddenly the film switches to what we'll refer to as 'segment two'. 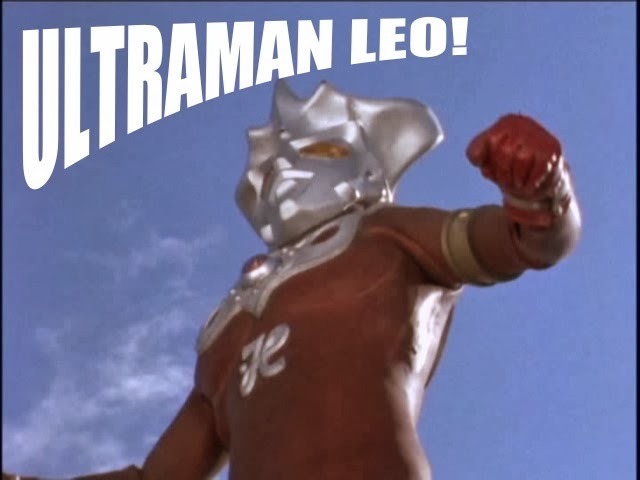 Plot holes continue, and it's something THE POWER is unable to control in this movie. We're now at a California high school and three teens are curious about making contact with spirits using a Ouija Board. Surprisingly, one of the kids has the Aztec idol in his possession. 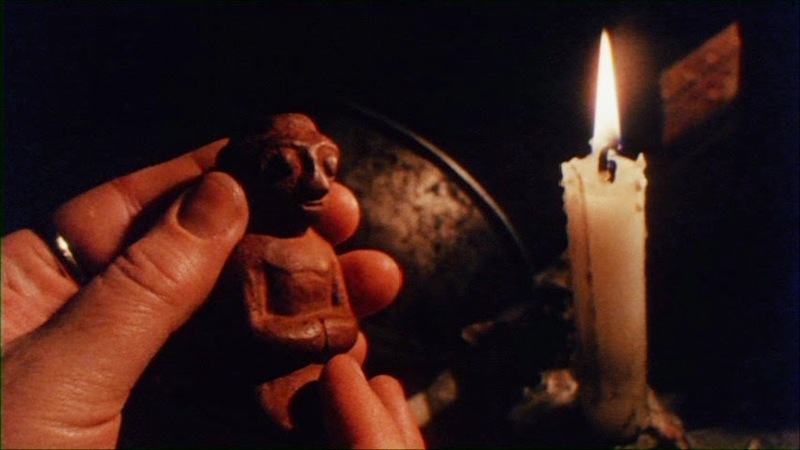 He explains his parents brought it back on a trip -- then he continues in suitably ironic horror movie fashion, "It's supposed to bring good luck." Considering what transpired earlier, it's never explained how the kids parents came to own the idol; nor do we see Lott again till a reappearance in the last five minutes. We're then introduced to the second character arc dealing with the flimsy relationship between Sandy McKennah, a pretty newspaper reporter and Jerry, her friend/former lover visiting from out of town. It's not made clear what Jerry does, although he seems to share the same profession. Curiously, Sandy works for a tabloid paper called 'The Eyewitness', yet she reminds a fellow reporter to "check the facts before going further". The teens are mostly pushed to the side once Sandy's friend Jerry coaxes the young girl into handing the idol over to him. We see little of them till the end, and even then they're mostly dropped from the finale aside from the young girl, Julie. Francis Lott (whom you've likely forgotten about) suddenly shows up in a coda that takes place three years later in New Mexico. His participation acts as something of a wraparound like you'd find in one of your finer anthology pictures. 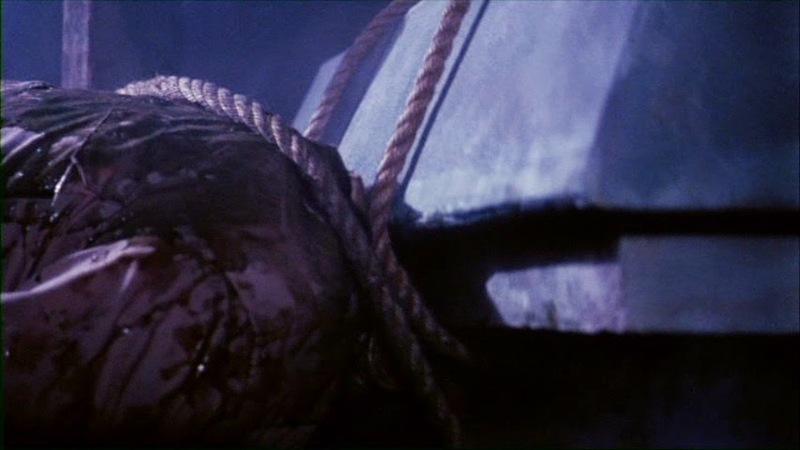 The last twenty minutes has some success building a sense of dread, and much of this is due to the amazing score by Chris Young (NIGHTMARE ON ELM STREET 2; HELLRAISER). His cues do wonders for the film, often feeling like it belongs in a more POWERful picture. 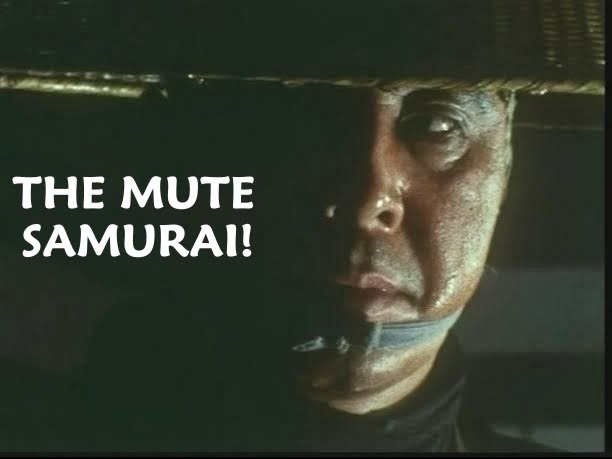 Still, without it, Carpenter's and Obrow's movie would be far less engaging. 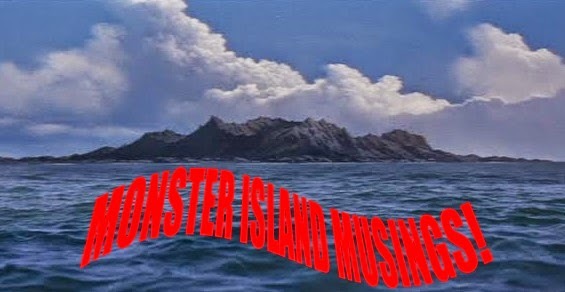 It really is a fantastic horror score and a vital asset to this otherwise average movie. According to sources of the time, Obrow got a deal with Film Ventures International, a company run by the notorious producer Edward L. Montoro. With a finished film in hand, FVI suggested the film needed more action and SPX shots. Furthermore, some expositional scenes were removed. The picture was released in January of 1984 and was among the last of FVI's theatrical releases before closing its doors in 1985. 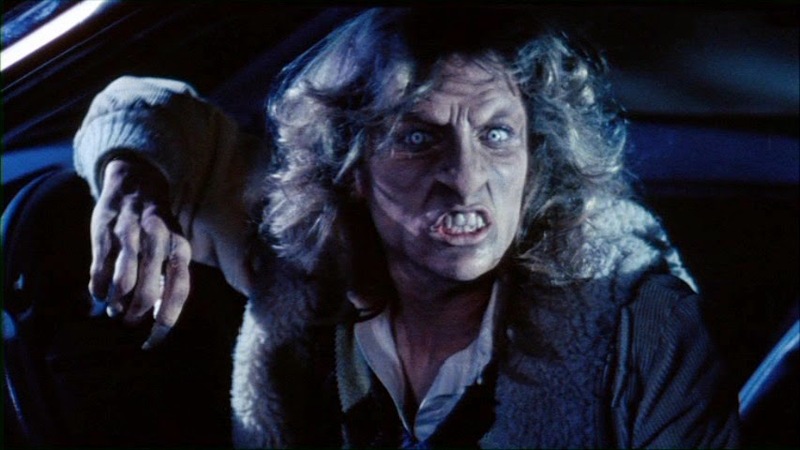 Stephen Carpenter and Jeffrey Obrow re-teamed once more on 1987s THE KINDRED, a monster movie adored by many, and another example of an under-seen genre picture. Carpenter directed little beyond his work with Obrow, but found himself busy as co-creator and writer on the series GRIMM (2011-2015). Obrow helmed SERVANTS OF TWILIGHT (1991) and LEGEND OF THE MUMMY (1998) and currently works as a part-time lecturer at USC School of Cinematic Arts. On the scale of demonic possession movies, THE POWER has little weight behind it. 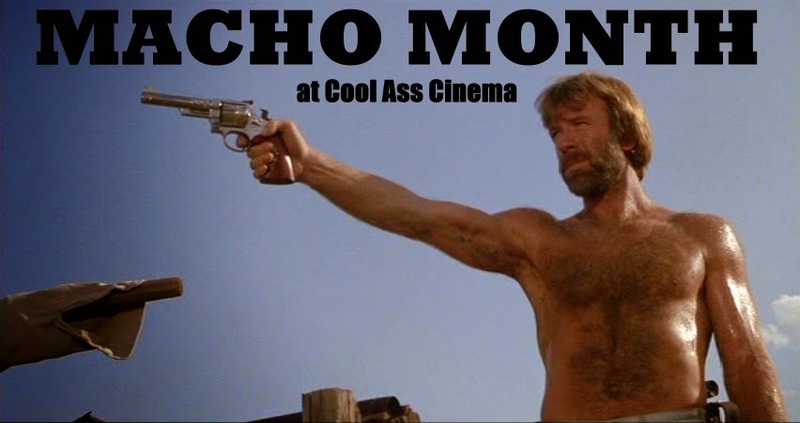 Diehard 80s horror lovers and obscure genre hunters will want to seek it out. 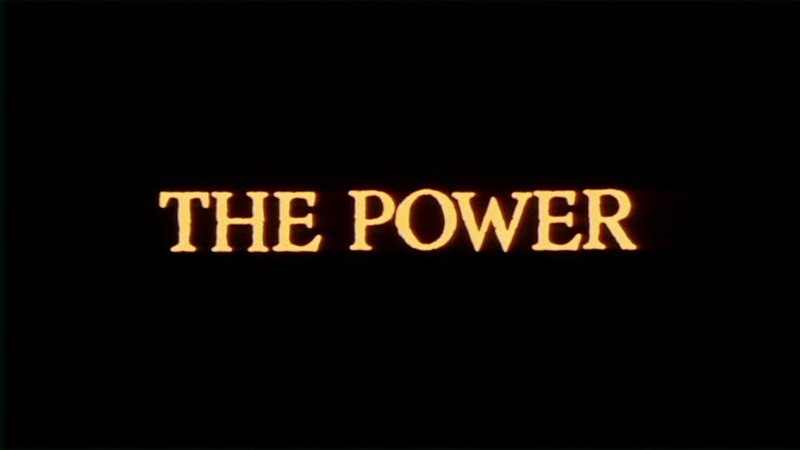 Some good FX shots, nicely creepy sound design, a killer score, and some atmospheric photographic shots are where the strength lies in the THE POWER (1984). This review is representative of the Scorpion Releasing DVD. Specs and extras: 1.78:1 16x9 widescreen; Katarina's Nightmare Theater Mode; Original Trailer.